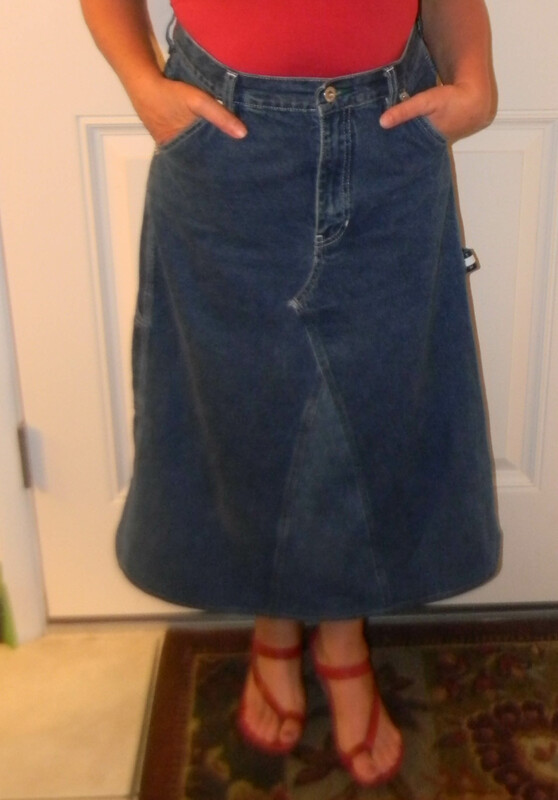 I have made several skirts from jeans (here is my post) and I have never really been happy with the inside finish. 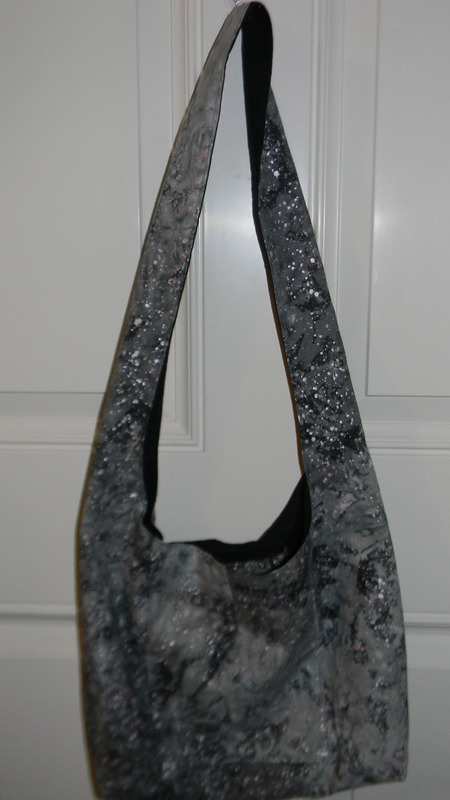 So I decided to put a little extra time into the process when sewing this one. I am very happy with the outcome. I got these Tommy Hilfiger jeans and the jeans I used for the insert for $1 each. 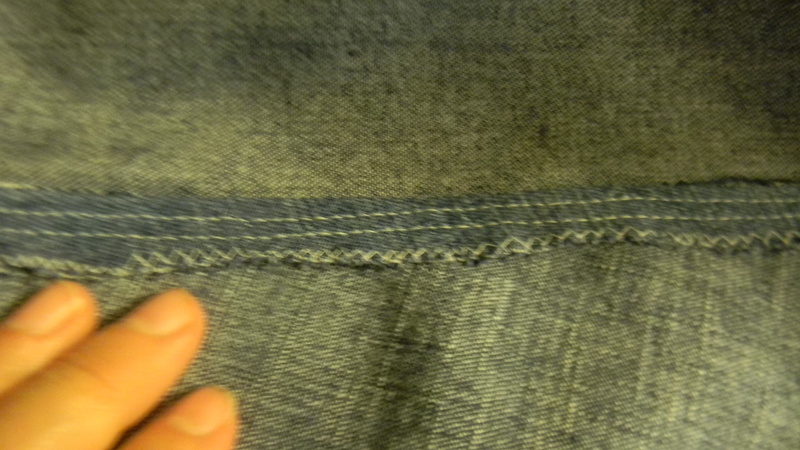 After taking the jeans apart and cutting the jean leg insert I pinned everything together. 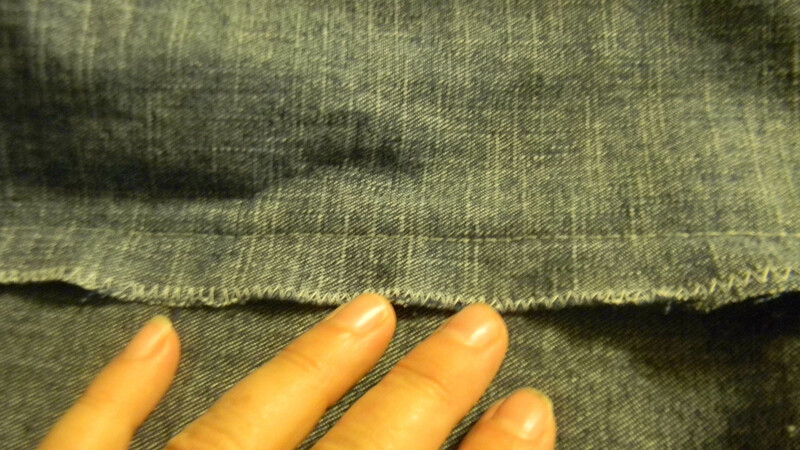 After sewing the outer row on the first seam (I did this by top-stitching on the right side) I turned the skirt inside out. 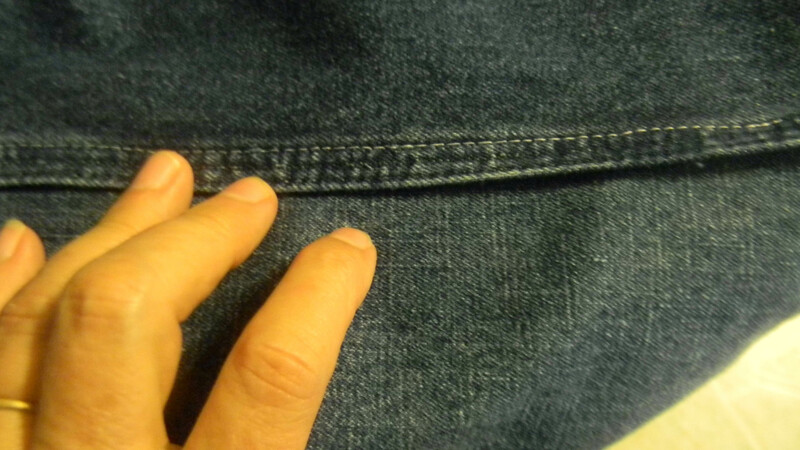 I then trimmed the seam to about 1″ and zigzagged that edge. Next I ironed this fabric in the direction of the rows I would sew next and then finished those rows. 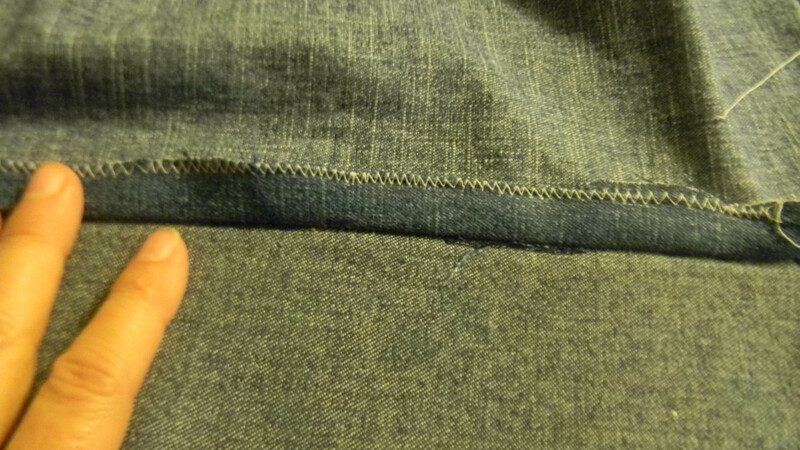 I repeated these steps for each of the next 3 seams. I hope this isn’t to confusing. I took pictures of each step. This skirt looks great on the outside and the inside. 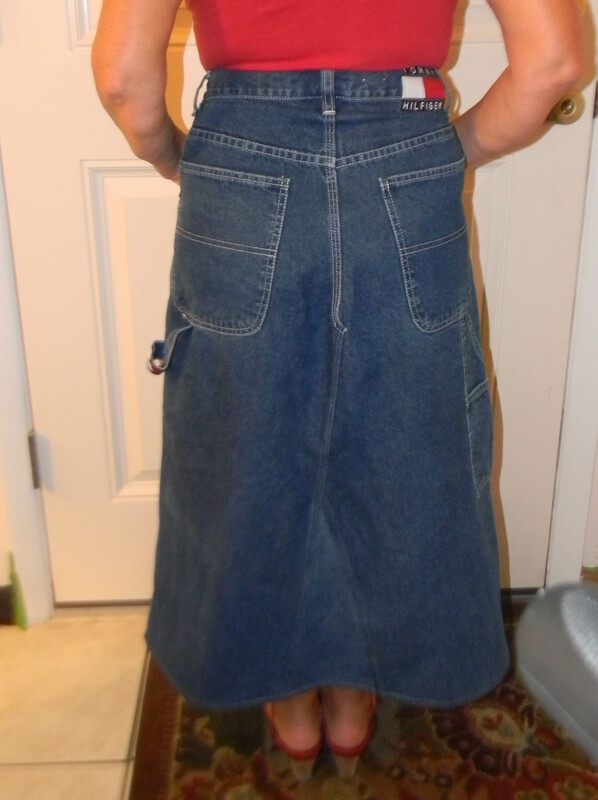 This entry was posted in Posts, Reconstruction, Recycled Jeans, Sewing and tagged Jeans to skirt seam finish, recycled jeans, Sewing Jeans into a Skirt. Bookmark the permalink.